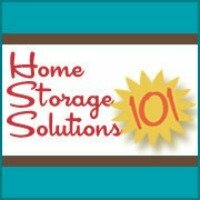 Finding a place to keep a big ironing board, and your iron itself, along with additional ironing supplies can be difficult, especially in a small laundry room. A good place to keep it is on the back of the laundry room door, with this product. This keeps you from having wasted space, and keeps these items close to where you will need to use them, so it is more convenient. This holder is nice because it is designed not only to hold the ironing board itself, but also additional supplies you always need every time you get out your board, so everything stays together. Besides this holder which is featured, there are other models also available, which also have some good reviews. The other one which also has good reviews include this one shown below. These items featured on this page are all over the door mounted. 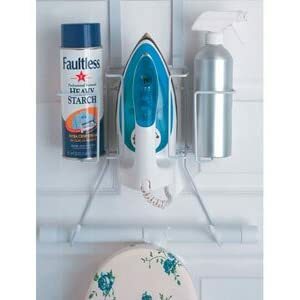 These are an alternative to the wall mounted ironing board holder I've also recommended. Since these are the most common ways to mount these holders, you should choose the method for mounting your board that works best for your laundry room layout.